3 pack of Tropica System 60 CO2 bottes. Be sure not to run out of CO2 by having plently of bottles spare ready for when you need them. 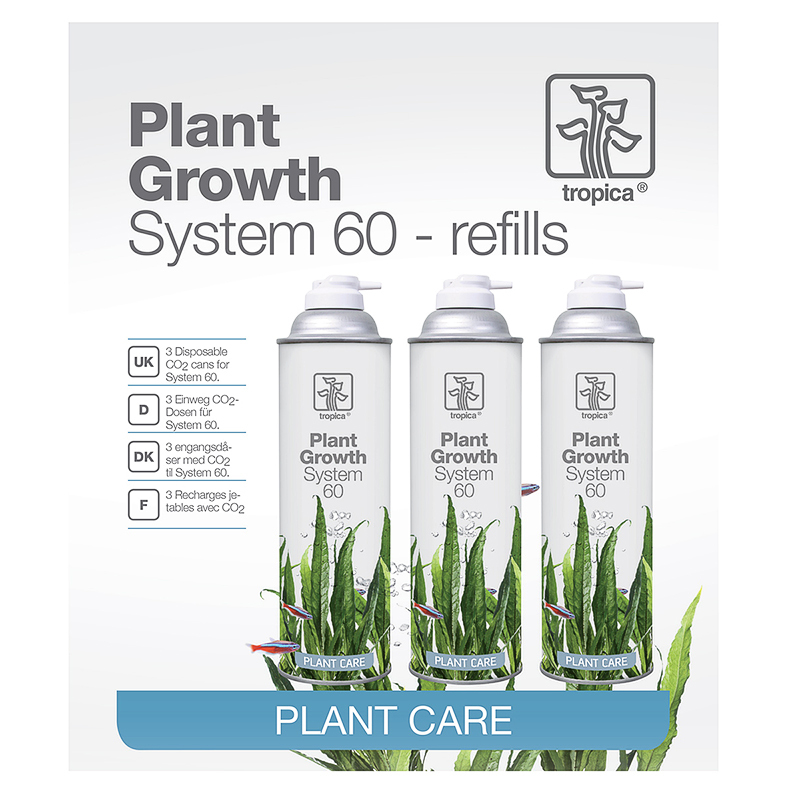 For use with Tropica Plant Growth 60 CO2 System.